Introducing the NEW KidWise Splash'N Play Waterslide! This residential water slide has it all and is designed to fit in small backyards! Climb the rockwall, zip down the slide, splash around in the tunnel and splash pool then do it all again for endless hours of summer fun. 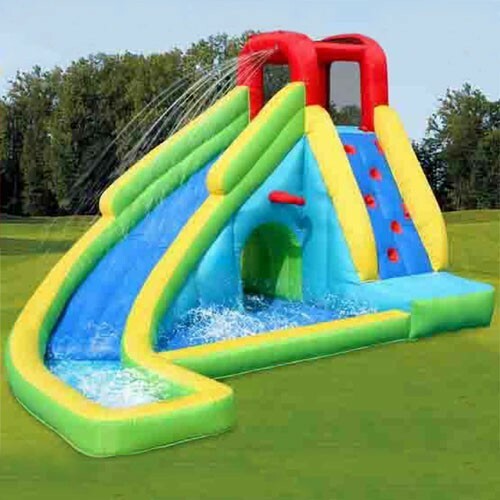 Inflated size of 13' x 9' and 7.5' tall, this water slide will fit in just about any backyard.